We were on our way travelling in Tateyama Kurobe, Japan. This picture was taken on a car and therefore a little bit blur due to movments. There is just a magical array of colors in the hills. Autumn was in the trees and everywhere. In our travels, we always come across merchandise displayed in shop windows. I like window shopping- different cultures have their way of displaying merchandise. The way merchandise are displayed in Japan is quite interesting and unique. 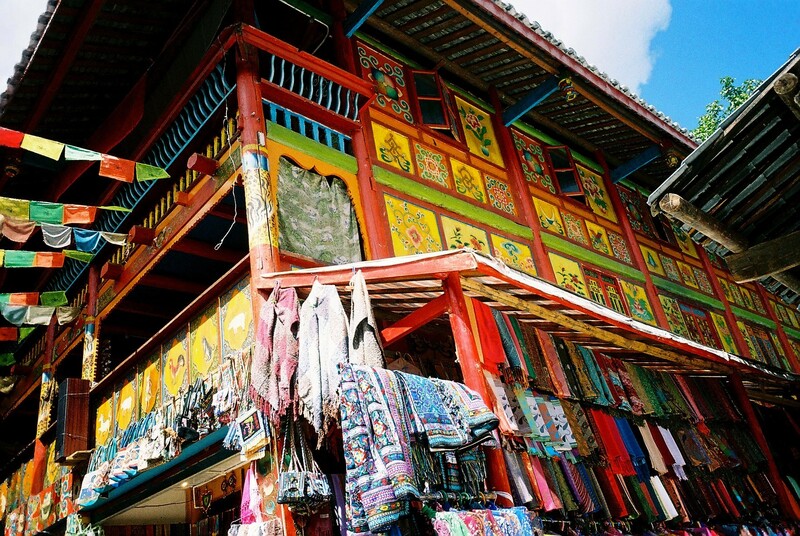 The shops are full of colors and vibrancy which are unique to their culture. 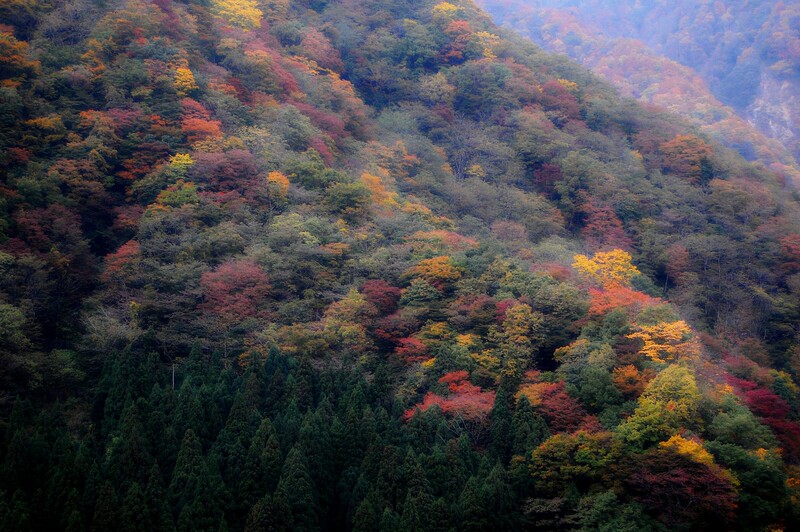 The following images were all taken in Shinkoku, Japan. The first image is taken at the Towel Museum, the colors are just interesting. 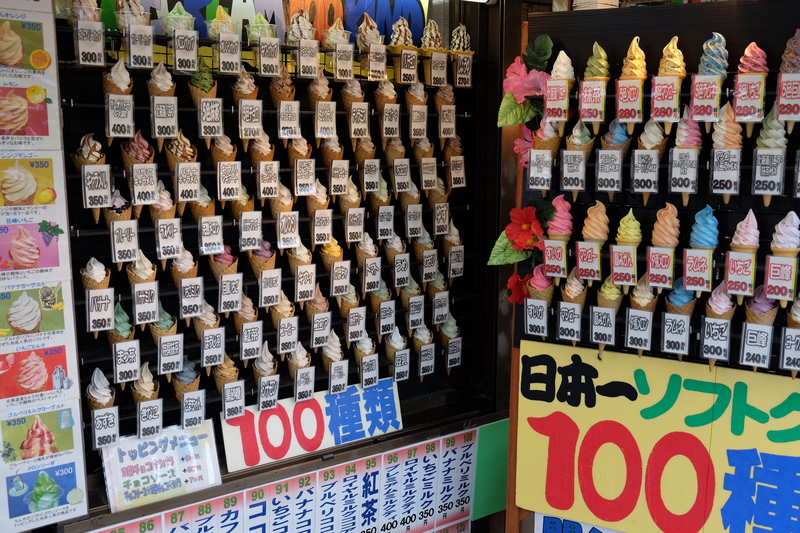 Near to the Kintai bridge is this small shop which sells ice cream with 100 flavors – 100 flavors is their selling point – and there was a long queue of visitors waiting to buy. 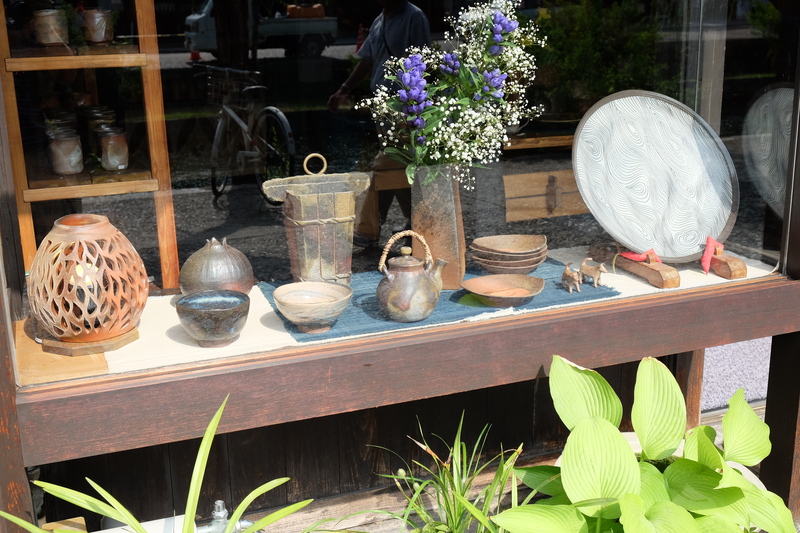 Pottery shop alongside a waterway in Shinkoku. 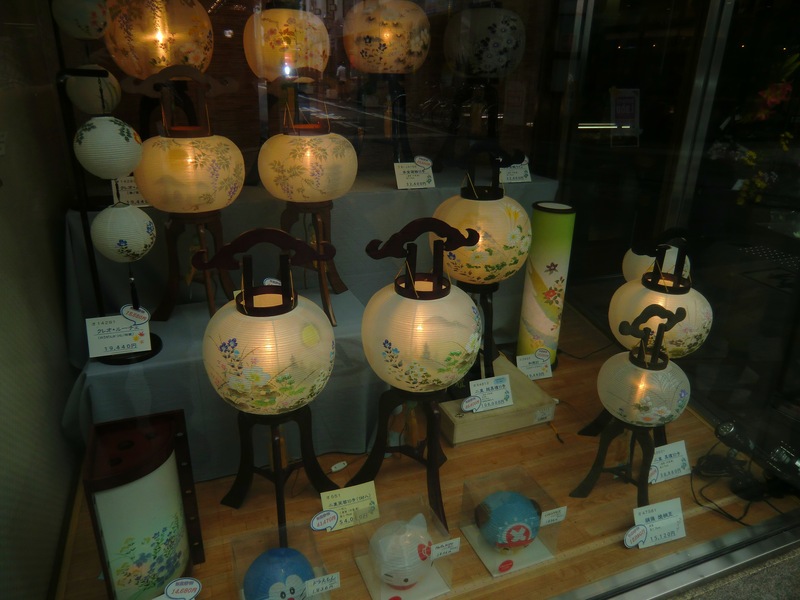 Traditional lanterns displayed in the window shop. 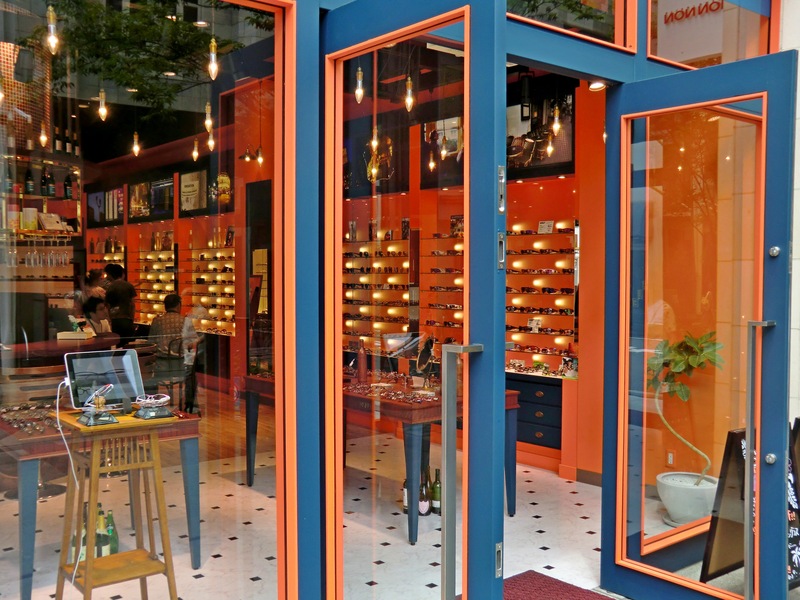 Never saw an optical shop in such attractive colors – on first sight, I thought it was for something else. Bags! These are what ladies are looking for. 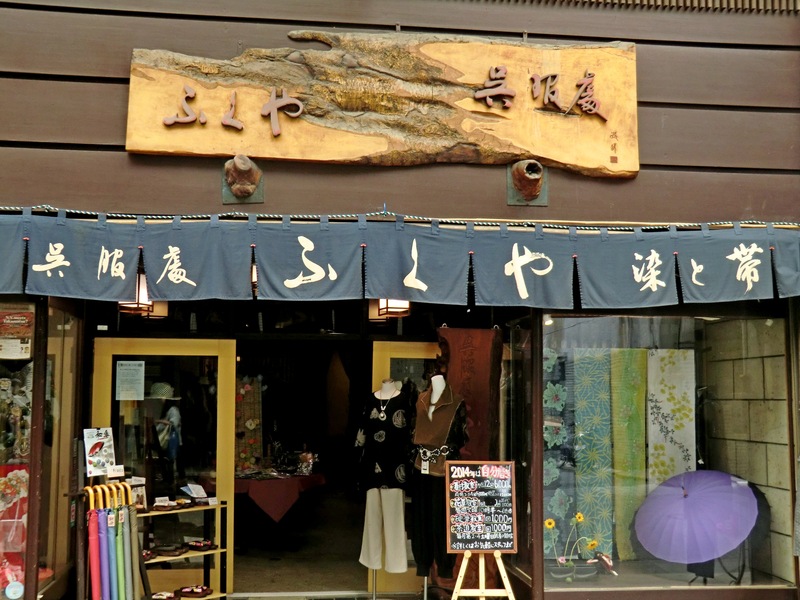 Umbrellas – it is good that they still have specialty shops for umbrellas and fabric. Where I am based, all umbrella shops are closed because of the high shop rental and that umbrellas are now available at such a competitive price. 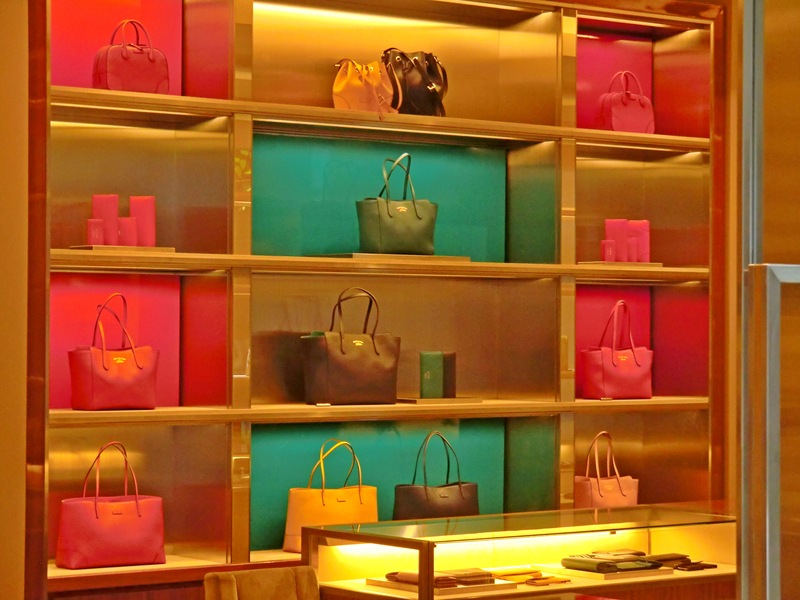 The world of merchandise is just a world of colors on display! Ailsa’s theme this week is Multicolored. The picture was taken in Yunnan, China. 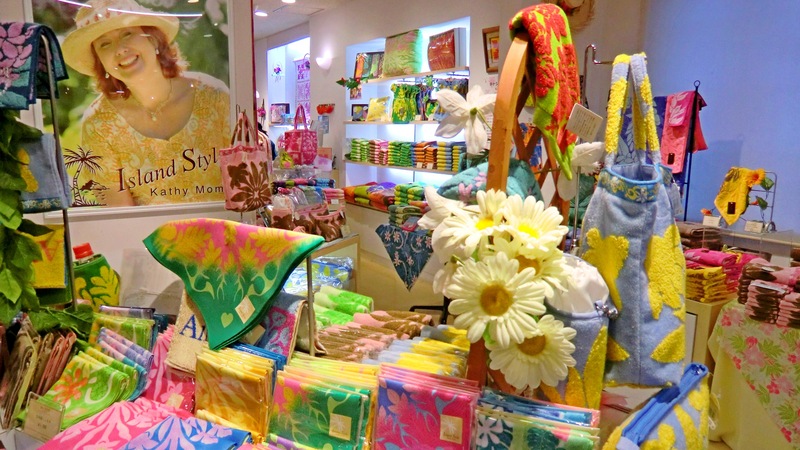 This shop was displaying colored textile products on the outside. My software has assisted me in counting the number of colors – the image has 659,920 colors! I suppose it includes all shades of the more basic colors. So, definitely, this is multicolored!